DEALING WITH AN INSURANCE COMPANY after an accident can often be more traumatic than the accident itself. Not only are you inconvenienced, you may also be worried, fearful, and in physical pain. Our attorneys are here to help you navigate through this difficult time in your life. The insurance company may seem friendly and helpful, but remember, their goal is to quickly settle the claim for less than you deserve. Let us prevent this from occurring. At this time do not speak with or allow the insurance company to record a statement regarding the accident as this could be used against you. Do not sign anything from the insurance company until you speak with one of our attorneys. Your rights include having the insurance company pay for your damages including compensation for pain and suffering, lost wages, medical bills, and other consequential damages. We can protect your rights. 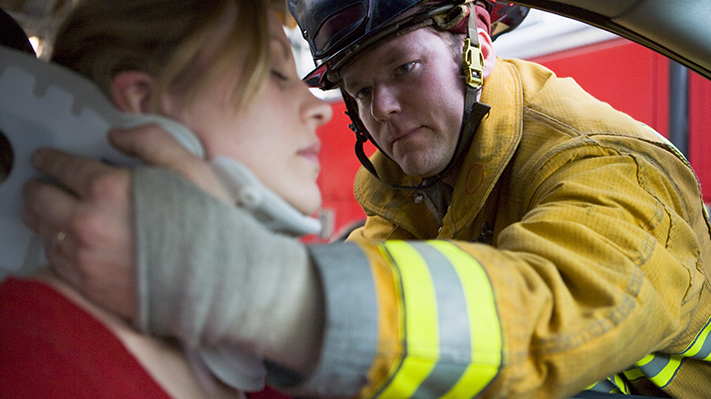 OUR OHIO PERSONAL INJURY ATTORNEYS have experience protecting accident victims in Ohio. Our firm does not collect legal fees unless we recover money for you. Our fees are paid out of your settlement by the insurance company for the at fault individual. Let us properly advise you of your options while answering the many questions that you may have. Call us today for your free telephone consultation. Let us show you why Barr, Jones & Associates is a wise decision to help you get the compensation that you deserve.